First, decide if you are going to search using an image you saw on the web or an image you already have on your hard drive. If you want to use an image you have on your hard drive you can go straight to the instructions below. Click on the gray camera icon. If you are searching using an image you found on the web, you would select the “Paste An Image Url” option. Right now this is preselected. Go ahead and press Command V, to paste the image address you copied earlier into the search bar. If you want to use an image you have on your hard drive, select “Upload An Image.” Click the “Choose File” button. 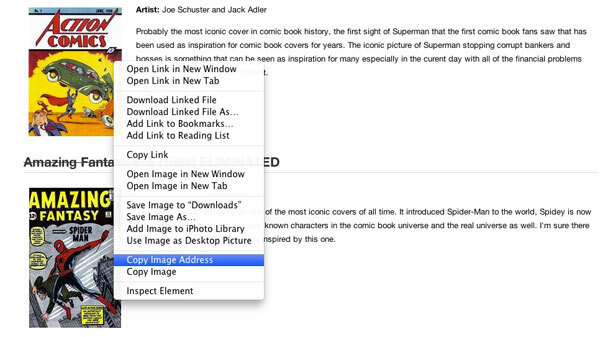 Navigate to the image file on your Mac and click “Choose.” Google will upload the file and begin an immediate search. Using this method can provide some very useful, and at times, very unusual results. If you use images at work or in a hobby, it’s worth playing around with. If you prefer to use words, but want some more advanced options you can always use Google’s Advanced Image Search. If you have questions or need Mac, iPhone or iPad help call No Problem Mac at 310-621-5679.